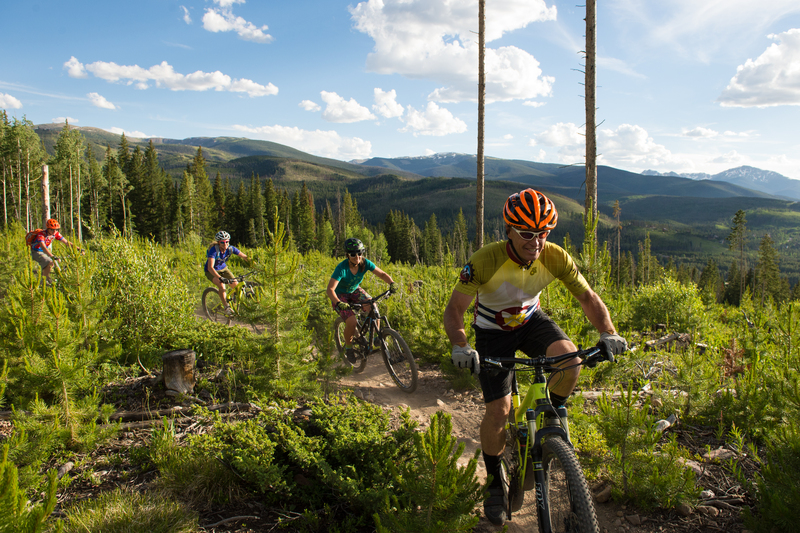 The Sunrise to Sunset Winter Park wants you, the racer, to be unencumbered by an overabundance of rules. It is our hope that you find these simple to adhere to. Please bring a copy of these rules to the event for your team. A copy of the rules will also be posted at the race venue. One team member needs to be at the start line 10 mins before the scheduled start of 7:00 a.m. The start to the race will be a “modified” Le Mans; Racers will begin with their bikes, running their bikes up the hill before mounting and pedaling on course. Solo racers will have a dedicated self-supported area along the course on the north side of the main parking lot. Self-supported set-up areas will be first-come, first-serve. One person must be designated as the Captain of the team to ensure the team is registered correctly (information is all accurate), and to deal with event officials in the event of a problem or concern. Results will be live during the event and available online after the event. Once the race has finished, racers will have 15 minutes to challenge results. Thereafter, results will become final. We recommend monitoring progress and comparing it with the available online results as the event is progressing to avoid any problems at the conclusion. All posted, printed official results are FINAL. No protests will be accepted, nor will results be adjusted after the event. Athletes must be in attendance at the awards ceremony to receive their medals and prizes. Awards will not be mailed. Minimum Age Requirement: All participants under the age of 18 must have a parent or guardian sign the waiver. Additionally, all participants under the age of 18 must have a parent, legal guardian, or designated person present on site for the duration of the event. Participants must be a minimum of 14 years of age. For safety reasons, the event reserves the right to cancel or change a portion of the course if inclement weather or dangerous conditions exist. If the race is terminated, final results will be based on completed laps at the time the event was called. In the case of catastrophic failure due to weather or other extenuating circumstances that prevents the ongoing scoring of the event or creates a racing environment that is deemed too dangerous for the participants, the race may be called as of a certain time. Final results will be calculated in one of two ways as determined by the Race Director. (A) The race will be considered over at the point it was called and the results will be taken from the last completed lap. (B) The riders will be allowed to finish their current lap after the point the race is called and those results will be taken as final. In the case that the race is stopped and restarted, the combined results of both parts of the race will be used.